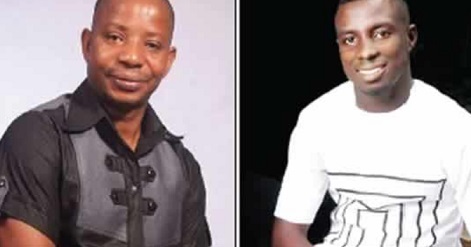 Gunmen have kidnapped two entertainers, Ugo Stevenson and Izunna Obiakor, in Owerri, Imo State and demanded millions of naira as ransom for their release. Stevenson, a 2008 winner of Nigeria Music Awards, is a popular high life musician, writer and public commentator, while Obiakor is the Chief Executive Officer of Twinstar Lightening and Stage House in Owerri. The 2008 award winner was reportedly kidnapped around the World Bank area, while he was going home. His wife, who confirmed his abduction in a telephone conversation with a Punch correspondent, said the kidnappers had established contact with her, demanding N5m as ransom for his release. Distressed Stevenson’s, who said she spoke with her husband, stated that the kidnappers contacted her two days after kidnapping her husband. She said, “The kidnappers have contacted me. They are demanding N5m as ransom for his release. They allowed my husband to speak with me. “I told them how it is with my husband and family currently. I told them that we didn’t even have N10,000. They asked me to contact his friends. Meanwhile, Obiakor was reportedly abducted in his jeep. He was kidnapped in Owerri while returning home after the day’s programme. One of his friends, who does not want his name mentioned, confirmed Obiakor’s abduction. The abduction of the two entertainers has generated spontaneous outcry as his friends and fans have taken to the social media, especially Facebook to condemn their abductions and demand their immediate release, unconditionally. The state Police Public Relations Officer, Mr. Andrew Enwerem, who confirmed the abduction of Stevenson, said the process of rescuing the victim had commenced. “Stevenson was kidnapped somewhere in Owerri West Local Government Area. The commissioner of police has ordered the processes that would necessitate his release. We are working to ensure that the kidnap victim is rescued alive, unhurt and the kidnappers arrested without delay,” he said. The abductions of the duo came few days after a popular activist, Paulcy Iwuala, was released after the payment of N7m as ransom.